Harriot Pleydell-Bouverie is founder of Mallow & Marsh, a 100% natural gourmet marshmallow company. 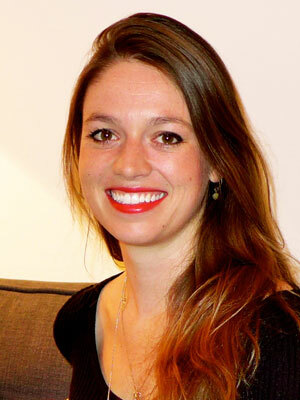 After setting up her initial venture, an internet trading platform for independent jewellery designers, Harriot was challenged to make some marshmallows as part of an entrepreneurship event for start-up businesses. The response was so strong, she soon realised that this was where her destiny lay and Mallow and Marsh was born. Since then she has moved from cooking up batches in her kitchen to launching in selected Sainsbury’s stores on 26th March. This morning I woke up at about 6am and promptly tipped a glass of cold water on my face as I tried to take a sip… Startled, it got me out of bed pretty speedily. That jolt and my spontaneous reaction followed by helpless giggles is a set of emotions I’m only too familiar with. Running a business comes with the exact same set of emotions, daily, if not hourly. One minute you are landing the most exciting deal of your life, the next you are dealing with the horrors of how you fulfill it. It’s a rollercoaster ride, with enough highs and lows to test even the sturdiest of blood pressures. Having launched Mallow & Marsh, my second business, late last year, extreme emotions have become daily life. Nothing ever goes to plan and I’ve learnt to be flexible, you have to take what comes and you have to enjoy it; if you don’t you’ll implode. Most importantly though, you have to be different, paint the sky pink, not blue, take risks; some will work out for you, others won’t, but if you don’t try you’ll never know. It is this risk taking and thinking outside the box that will make you stand out. It might give you the odd grey hair and wrinkle, as 90% of the time they won’t work, but every now and again, you’ll find a gem of an idea in all your risks. It is this fine line between genius and just plain stupidity that has taken me to the top of the marshmallow world. Whilst some mistakes, are just that, mistakes, others can be the start of something different, something unique or an approach you hadn’t considered. 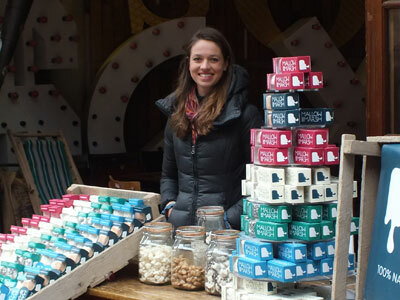 Take for example, my launch: It was November 2013, and I was scaling up for the first time – making about 180kgs of marshmallows for the ‘Taste of Christmas’ food show. It was the largest amount we’d ever made in one sitting, but I’d spent so long testing it I wasn’t worried. It didn’t cross my mind to be. When the product arrived at the depot of the show it was firm, very very firm. It wasn’t the product I was used to, it wasn’t anything remotely similar to it. It tasted good, really good. It was chewy, flavoursome and delicious, but it wasn’t my marshmallow. After about five minutes of tears, and ten minutes on the phone to my father trying to work out if I should drop out of the show or not, I went ahead. I set up, and just cut up samples of the new product so people could try before they bought. I sold the whole lot in four days. 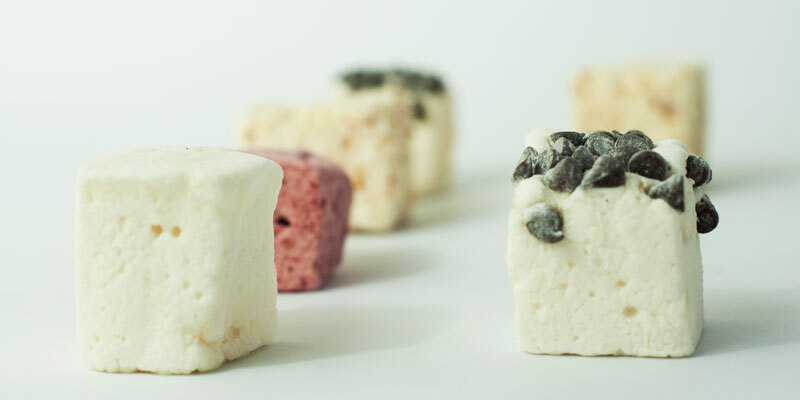 Everyone loved it, the feedback was phenomenal – talking to the customers I realised that they preferred the firmer marshmallow; it had more texture, more taste. It was a more adult version. The decision to take this new recipe on was a difficult one though. I knew my other recipe worked, and it took a while to figure out had actually gone wrong anyway! But four months on, and the focus is now 100% on the firmer recipe. It’s unusual, it’s different, it makes us stand out and it tastes amazing. Knowing that the recipe was a mistake, and taking that mistake, learning from it and ending up with a new product is definitely more on the insane side of things than genius. But then again, I run a marshmallow company anyways, and it’s worked. We’re busier than ever, and everyone comments on how different our marshmallows are. The one thing I have learnt is that you can always turn a bad situation into a positive. I could have given the products away to charity, or to children who weren’t going to get Christmas presents that year. I could have done anything with it; I had 180kgs of marshmallows – whatever I did it would have been fun. As an entrepreneur you never know what’s going to hit you next, but you roll with the punches. You have to. Turning unusual situations to your advantage is the best form of survival. Don’t focus on the negatives, find a positive in the situation and run with it. You might fall the wrong side of genius a couple of times, but you’ll learn to trust your gut and to follow your heart. You can’t always use your brain; instinct is what will make you different.